Thanks to the Internet, the word “archive” has become as ubiquitous as Kleenex, used to describe anything from historic records to a collection of knick-knacks. The appropriation of “archive” has led to common misunderstandings about what an archival repository collects and why. Documents or records relating to the activities, business dealings, etc. of a person, family, corporation, association, community, or nation. With the amount of paper floating around this world, not to mention photographs, recordings, objects and digital-born materials, it’s up to archivists to determine what is trash and what is treasure. Collection policies vary between archives, but the principles remain the same. When considering whether to accept an item into an archival collection, five criteria are considered. Does it fit into the mission of the archive? Is it unique? Is it an original record produced to convey information? While copies may exist, is this version closest to the original form? Is it non-current? Is the record no longer being actively used by its creator? Is it authentic? Was it created, collected and preserved in a known manner that provides legitimate evidence of past events and decisions? Does it have enduring value? Does it have cultural or information importance which tells us about the past in a manner that researchers would find interesting and useful? 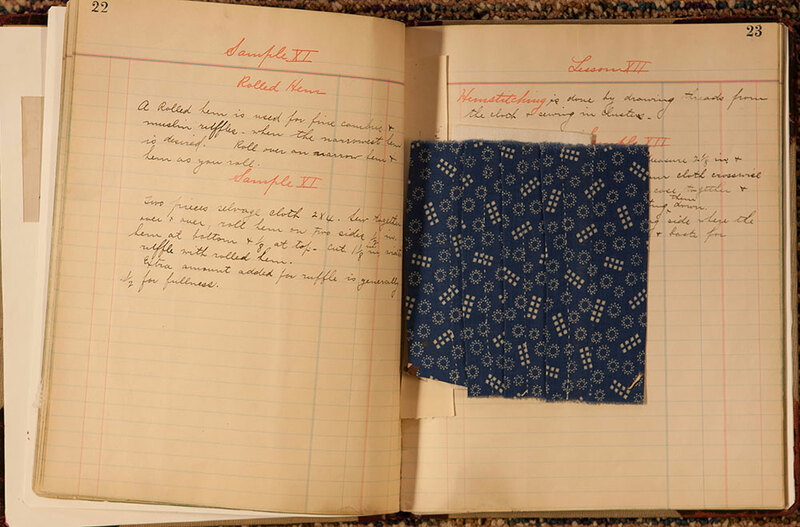 So, what does an archive collect? That can depend on who created the collection. Records are collections that were created by an institution or organization. Papers are collections created by an individual or a family. Record collections can include items like bylaws, annual reports, meeting minutes, correspondence, budgets, program-related materials, newsletters and ephemera. Personal and family papers tend to be more varied, often incorporating personal writings, scrapbooks, family photos and genealogical documents. These lists are by no means comprehensive; there are many more types of documents that meet archival standards. The inclusion of objects within a collection differs among archives. Objects often require a different level of care than paper-based collections, straining the resources of the archives. Unless the object is paramount to the collection, it may be declined by the archivist. For those of you trying to remember the last time you printed a piece of paper, don’t worry. Archives have you covered. Preserving born-digital records (those with no paper copy) is a practice being addressed in archives across the world. Although the profession has not yet created a uniform method, many archives have begun to put protocols into place for collecting born-digital records. Do not let your vow to live paperless stop you from depositing your records in an archive! Wouldn’t it be fun to keep every cool thing that came in the door? Sure, but with limited resources, it would be impossible. When it comes to collecting in an archive, archivists have to put aside personal interests, nostalgia and sentiment and instead focus on caring for the items they can accept. How would you do with deciding what is trash and what is treasure? Take our quiz and find out! *What Do You Know? Who Can Tell Trash From Treasure? Look at the pictures below and try to tell. Roll your mouse over the pictures to see if you were right! Trash! Mass-produced books don’t fit into an archive’s policy of collecting one-of-a-kind materials. Plus, books are meant to be circulated and archives are non-circulating. A better place to donate books is to a library. Treasure! In this case, the book is an original with no other known copies. This books is dated 1901 and was created by the Self-Help Circle to teach immigrants how to sew. Added bonus, the Self-Help Circle was one of the four original agencies of the Jewish Federation of Metropolitan Detroit! Treasure! Photographs are visual evidence of past events. But beware. Not all photographs are created equal. If a photograph has no context or is just bad quality, it may not provide any useful information. In that case, it can be considered trash. Trash! Lists are common items found in personal collections, but they generally don’t fit the criterions for collection. A notable exception might be if the list is signed by someone famous. 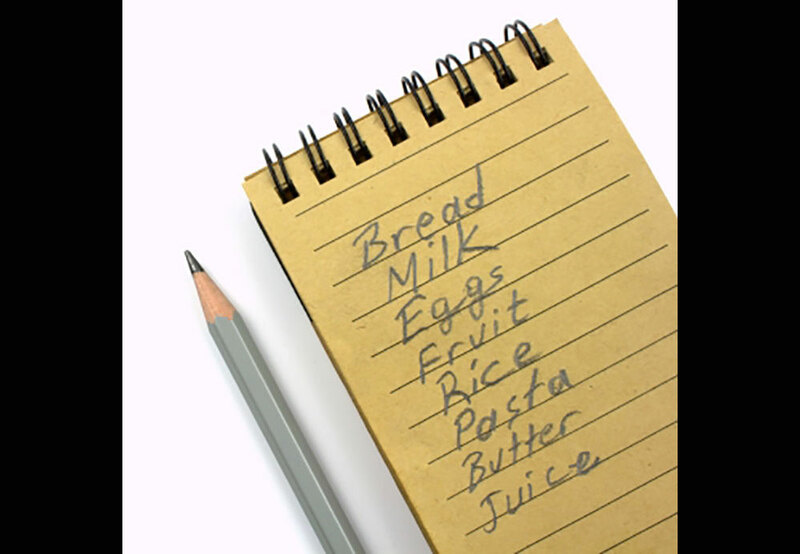 You might consider keeping the grocery list signed by Abraham Lincoln! Trash…and sometimes Treasure. Newspapers are a controversial subject, with professionals differing on if they are a primary source. They are also a conservation nightmare; their acidity quickly turns newspapers yellow and brittle and they stain documents surrounding them. On the other hand, newspapers are excellent references for a researcher. 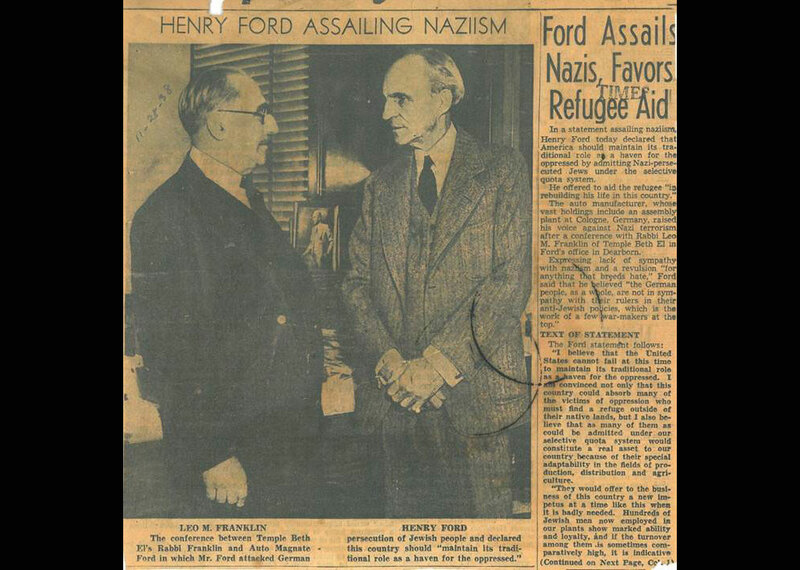 Some archives keep newspaper articles for secondary-source research. Others refer to the ever-growing number of companies who have put their newspapers online. 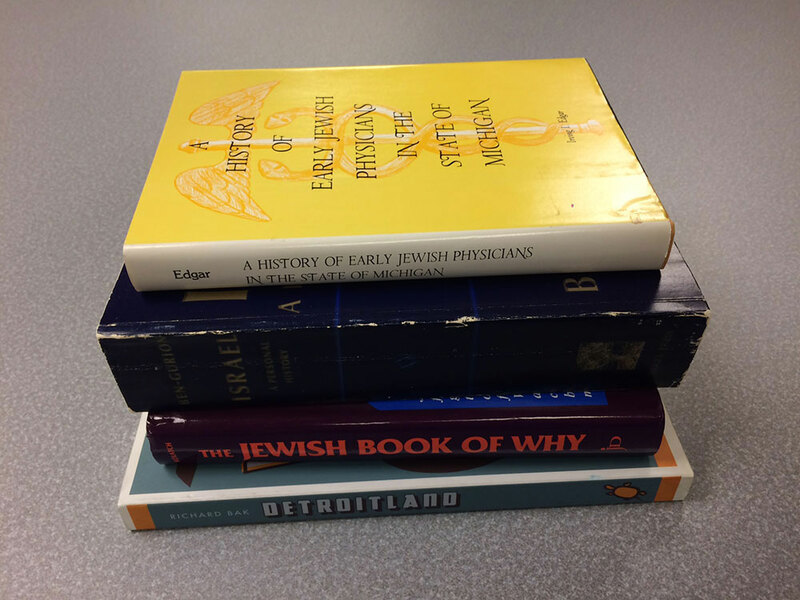 The Leonard N. Simons Jewish Community Archives was established in 1991 to document the rich and varied history of Detroit’s Jewish community. 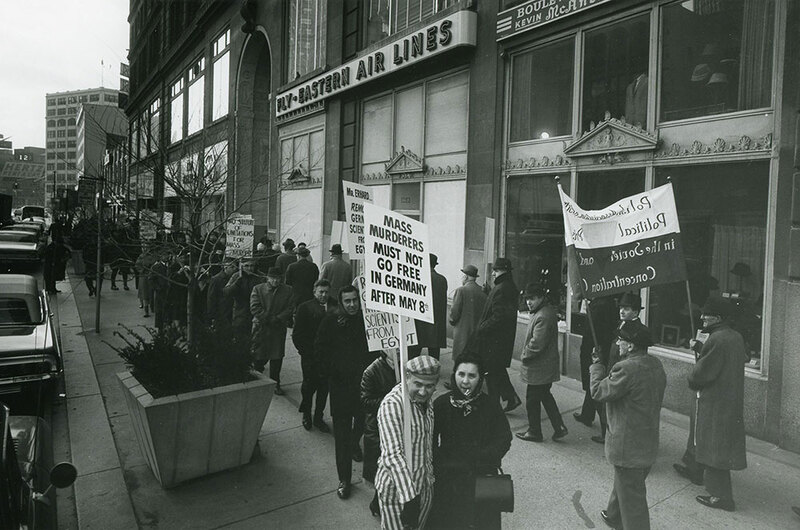 Its mission is to collect, preserve and make available for research the records of the Jewish Federation of Metropolitan Detroit, United Jewish Foundation, Federation’s member agencies, local Jewish community organizations and the papers of Detroit’s Jewry. Visit http://jewishdetroit.org/archives to learn more. Upcoming Program: Introduction to Jewish Genealogy, January 12, 2018 at 10:00 a.m. Interested in mapping your family history but don’t know where to start? Hit a dead end and don’t know where to go next? This program will discuss genealogy research resources that you can use to uncover your family history, from traditional sources like family data and public records, to new sources like DNA and the Internet.